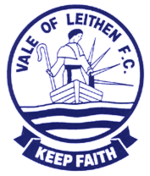 Vale of Leithen Football Club is a member of the Scottish Lowland Football League . We pride ourselves in community integration at all levels. This document is designed to describe the club’s Smoking Policy. Those who do not comply with the smoking policy will be subject to normal disciplinary procedures, liable to a fixed penalty fine and/or criminal prosecution. This policy has been developed to protect all club officials, supporters, service users, customers and visitors from exposure to second-hand smoke. Exposure to second-hand smoke, also known as passive smoking, increases the risk of lung cancer, heart disease and other illnesses. Ventilation or separating smokers and non-smokers within the same airspace does not completely stop potentially dangerous exposure. It is the policy of Vale of Leithen Football Club that all internal areas within the ground are smoke-free, and all people have a right to work in a smoke-free environment. Smoking is prohibited in all internal spaces within the boundary of Victoria Park and within the covered enclosure. This policy applies to all club officials, supporters, consultants, contractors, customers or members and visitors. Overall responsibility for policy implementation and review rests with the Committee of Vale of Leithen Football Club. All staff and visitors are obliged to adhere to and facilitate the implementation of the policy. The Chairman shall inform all existing volunteers, consultants and contractors of the policy and their role in the implementation and monitoring of the policy. Appropriate ‘No Smoking’ signs will be clearly displayed within internal premises. This policy shall also be made publicly available in match programmes and be included within the club’s Health and Safety Policy.